Tranquility is a state of just “being” in its simplest state. It is our reset point. It is us just being us; one with everything around us. It is us being everything and nothing all at once. Most of us would agree that if tranquility were just handed to us we would readily take it. Well the news flash is, it is just handed to us. It is available to us whenever we choose to take it. The problem is not that it is not available to us. It is that we don’t take it or what we do with it when we do. We need to practice just letting go, at least for a few minutes each day. We need to practice tranquility to realize who we are. We are one with the One. We need to remember that and feel it. We need to feel our completeness. It does not matter how we get there albeit with meditation, prayer, just being still, silence, with music etc. The vehicle does not matter. Whatever works for us is perfect. The message is just that it is important that we consistently take the time to do it every day. That is the HOPE. 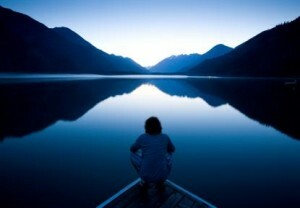 -Meditate, pray or spend some time in stillness. Empty your mind. Enter the stillness. -Journal. Practice doing some automatic writing. Clear your mind and with eyes closed just randomly write anywhere and everywhere on the paper. – I just have to laugh at me. Who can mess up bean soup? -Errands with my hubby. Again I have to laugh. Really….I need directions? -No class. I was all prepared and then realized I did not have class today. Yeah, it was like a gift. -My voice is almost back. It feels good to me and HOPEfully those around me.